Align Racing is currently working hard on finishing their race car for the Formula Student 2018 race in July. The design team has spend hours on developing and finding the right electronics for the car. Nordcad became familiar with Align Racing in Norway in 2017, and a cooperation was quickly established. Now Nordcad is sponsoring and supporting the Align Racing team in their pursuit of designing a formula race car. Cadence Design Systems, Inc. (NASDAQ: CDNS) today announced that it has achieved the industry’s first comprehensive “Fit for Purpose - Tool Confidence Level 1 (TCL1)” certification from TÜV SÜD, enabling automotive semiconductor manufacturers, OEMs and component suppliers to meet stringent ISO 26262 automotive safety requirements. LumenRadio chose the Cadence solution from day one to design the most reliable hardware for their complete IoT platform. 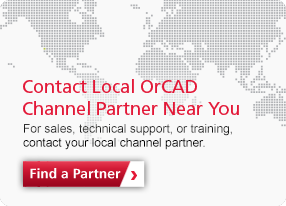 And at the heart of their engineering workflow is OrCAD Capture and OrCAD PCB Designer. Simprints is a nonprofit tech company from the University of Cambridge that seeks to break the identification bottleneck in less-than-laboratory settings. OrCAD Capture Cloud saves significant development time, helping entrepreneurs get their products to market more quickly and cost effectively. Cadence Design Systems, Inc. today announced it has partnered with MathWorks to streamline system-level design and circuit-level implementation for mixed-signal internet of things (IoT) and automotive applications.